Are you looking forward to your dream wedding? Have you thought about the location for this important day of your life? Lake Tahoe would be perfect. Located in the heart of the Sierra Nevada Mountains, the Tahoe area is one of the most popular wedding destinations in the world, attracting brides and grooms from across the globe. If you are looking for the perfect place for your special day, you should choose this area and have a romantic and unforgettable Lake Tahoe wedding. 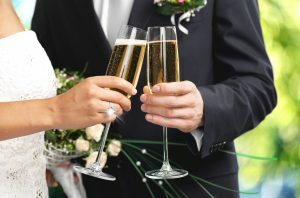 Whether it is small Lake Tahoe weddings or big celebrations of a couple’s union, Lake Tahoe has hosted hundreds, if not thousands, of weddings over the years. With its abundance of majestic natural beauty, it is the perfect backdrop for any wedding, big or small. You can have an intimate gathering of close ones or a grand event with hundreds of guests here in this amazing wedding location with mountaintops, beaches, lakes, and other picturesque settings. Why should you pick Lake Tahoe as the location for your wedding? Well, for one, it is filled with great places that provide beautiful settings for celebrating this important day. It is also beautiful all year round, so no matter what the season, you can always be sure to have the perfect wedding with a picturesque backdrop. You can have a thrilling mountaintop wedding or an Emerald Bay wedding that fits your budget neatly. We can help you plan the wedding you have always wanted in the Tahoe area. From Tahoe lakefront weddings to ceremonies in one of the quaint chapels here, we will help you plan and organize an amazing day to celebrate your union in the presence of family and friends. We also help arrange fuss-free events if you want to elope in Lake Tahoe! No matter what your needs or your budget, you can always trust us to make sure that you have a memorable day to celebrate your love. Lake Tahoe weddings are always fun, romantic, and memorable. It is that perfect place to say “I do” and celebrate your union. The best part is that you do not have to spend a fortune to have your dream wedding here. You can have a beautiful, romantic day with your loved ones and exchange vows and begin your new life as a couple in one of the most beautiful places in the world.